Echelle based spectrometers provide high spectral resolution (λ/∆λFWHM) and high light throughput and are therefore commonly used optical instruments for a wide range of applications. 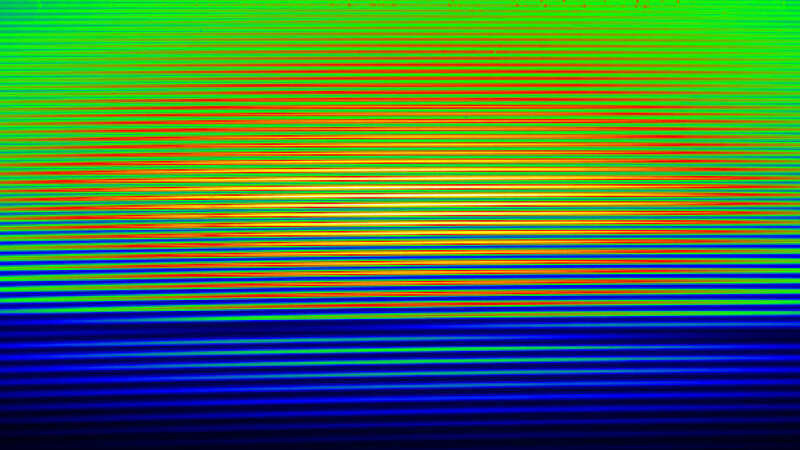 Echelle spectrographs feature a certain type of reflective diffraction gratings named echelle grating (from French échelle: stairs, ladder) which is characterized by a distinct groove density and shape. Incident light is diffracted especially to high orders at specific angels. This so-called blaze angel is optimized for each application to achieve maximum grating efficiency in a given diffraction order for a specific “blaze” wavelength (blazing). Due to multiple overlapping orders, a second perpendicularly mounted cross-dispersive element e.g. 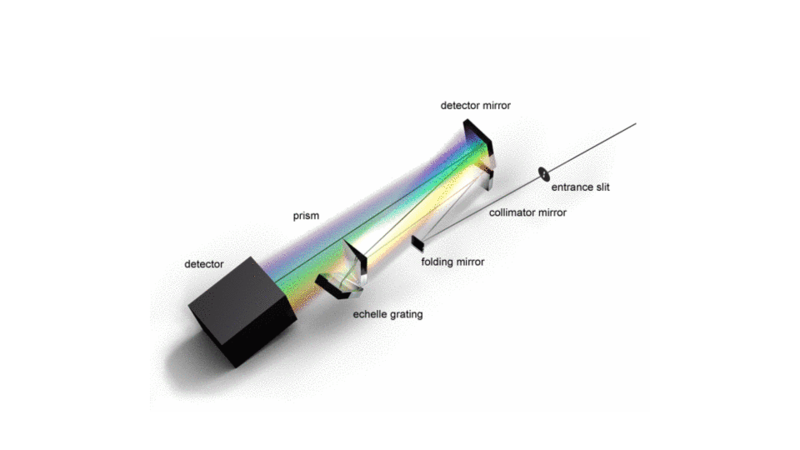 prism is inserted into the beam path to separate the orders in an echelle spectrograph with blaze grating. As a results a 2D spectrum can be detected with an area sensor. The blaze angle for echelle monochromators with reflection grating in Littrow configuration is chosen such that diffraction angle and incidence angle are identical. This provides an excellent imaging quality with high resolution capabilities. LTB Lasertechnik Berlin offers a wide scope of spectrometer models with patented optical design which feature individual echelle grating or echelle grating / prism combinations for various applications. This covers a broad product range – compact high resolution wide-range (double) echelle spectrometers of LTB’s ARYELLE series and LTB’S echelle monochromator series DEMON and ELIAS in Littrow configuration for highly resolving spectral characterization of narrow linewidth emission and absorption lines.